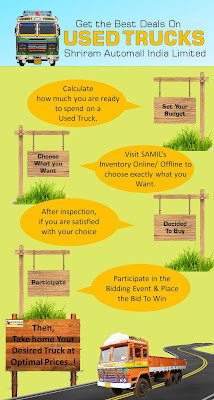 Visit Shriram Automall to Acquire the Best Used Trucks! The Leading Name in the used vehicles & equipment industry is the No.1 Service Provider of used automotives through most innovative bidding platforms in the country. To Acquire the best in class used trucks & deals, visit your nearby Automall today. You can also go through our esteemed inventory from the comfort of your home through our very own MySAMIL Mobile App.